This post is going to probably going to be all over the place but thus has been the way life has been around here for the last few weeks. About a year ago Miss Stephanie, one of the most important people in our lives, walked through our door and announced that she was getting married. 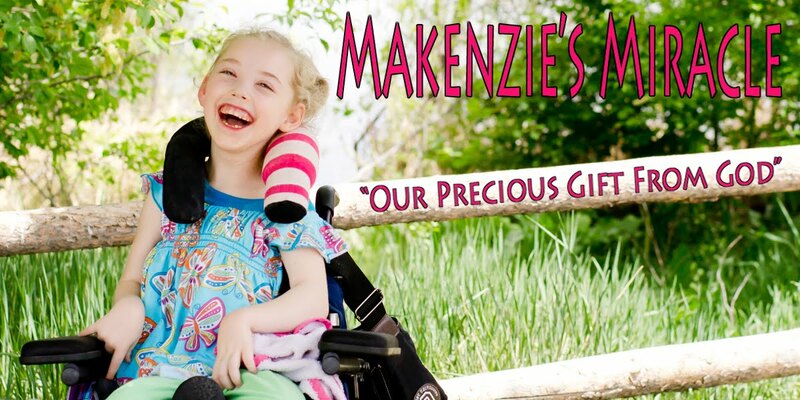 Stephanie, until recently when life took her across the country, has been Makenzie's OT and one of her biggest cheerleaders for the last 4 years. Three years ago during a therapy session Stephanie informed Makenzie that one day when she got married she was going to WALK down the aisle in her wedding. Shortly after the big announcement Stephanie asked Makenzie to be one of her flower girls!!! We have spent the last nine months looking at dresses, talking about what walker Makenzie would use, what shoes she would wear, and making plans to attend the wedding. Last Tuesday afternoon my good friend Erica, her son Morgan, Makenzie and I packed up the van and pulled out of the driveway with the afternoon sunset at our backs and the radio blasting. We were headed 13 hours away to Dallas, Texas! We stopped overnight and headed into Dallas Wednesday night. Makenzie did great. She just rode and rode. We listened to music, watched cartoons on the iPad, giggled, stopped for dinner, got gas, used more public restrooms then I would like to recount, and slept ....ok.....Morgan slept. Once our feet hit the ground in Dallas we did not stop going for four days. We danced and partied till we couldn't anymore. We were up past midnight for 5 nights straight. Makenzie and I experienced our first party bus and several rides in a stretch limo. Most importantly we got to share a very important day with Stephanie and Justin. The whole week was very emotional for me. I dearly miss Stephanie. I miss her laugh and smile. I miss the conversations we shared about life where we realized how insanely similar we are. I miss the look of unconditional love she has in her eyes every time she sees Makenzie. I miss the progress Makenzie had when she worked with her. I spent a lot of time last week missing Stephanie. Then there was the whole wedding. It was so beautiful. Stephanie could not have looked any more stunning and I have not had so much fun in a very long time. Every single event was beautiful and brought tears to my eyes. I watched Makenzie dance and laugh night after night, and then I watched as she walked down the aisle right before Stephanie. I saw my daughter walk down the aisle three years after a conversation which in that moment seemed so out of reach. I watched a very profound miracle unfold right in front of my eyes. Very overwhelming! God is so so so very good! This is where I admit to not taking any pictures of the grand event. I was busy getting Makenzie ready and helping her PT get her down the aisle. There were pictures taken and when I get my hands on then I will post them. On top of all the wedding events Makenzie's Granny Kay and Paw Paw Pat came to visit us. We spent the day after the wedding hanging out around Dallas and even made it to the Dallas World Aquarium. It was a short visit but so wonderful to get to see them for a while! We headed home just in time to miss the tornadoes in Dallas. The drive home went just as smooth as the drive there other then taking a short detour because a mountain pass had been closed due to snow. We drove for hours in the middle of no where. We took in all of the small towns, tractors, trains, silos, and of course more cows then we could count. As we pulled back into town tears began to form in my eyes. Not only were we home but Makenzie and I had successfully completed a road trip. Six months ago I didn't think this would ever be possible. It created in me a sense of freedom I have not felt in 5 years. A freedom to go and do things I thought would forever be impossible. I told my boys before we left that if Makenzie was a good traveler we would plan our very first family vacation. The tears came as I realized that I would be able to walk through my front door with a smile on my face, several I love and missed you, and then the grand finale...... the announcement of a month long summer road trip to see friends, go to the beach, Disney, and Sea World! AMAZING!!! The looks on their faces were priceless and this mommy doesn't feel like life could get any better! FREEDOM!!!! So tonight my van has been scrubbed down. The bags are unpacked and we are well on our way to finalizing plans for our next adventure! I am so content. I am so thankful beyond what words could express for my van. I am in love with the amazing people in my life, and incredibly thankful for things like this wedding which push me out of my comfort zone and force me to try new things. Thank you Stephanie and Justin for the wonderful time and for loving my little girl with such passion!!! Your wedding was not only beautiful and more fun then I could have ever imagined but it changed my family's life! This post gives me so much hope, it bought tears to my eyes. Prayer really does work!